My life coach from many years ago taught me that to lead a balanced life we need to nurture different key aspects of ourselves in our environments: belonging, purpose, respect, security and acceptance. Trevor and I had a chance to feed a few of these elements last week. Remember I went salsa dancing? I met some great people. They had to knock the swing outta my salsa, but simultaneously they were intrigued by the thought of learning to swing dance. They asked us to teach two classes to their dance troop. Not only was it fun for Trevor and I to get back into the teaching groove (we taught for Jumptown for 6 years but stopped in 2009), it was a chance to bring something to this new country of ours. A way to contribute to the new culture that is helping us grow in so many ways. It was a chance for us to give back, and help other people grow. They were so receptive, and eager that it was truly our pleasure to teach them. We even gave back our payment for the second class and donated it toward their club. They thought that we were being nice. It was so much more. They helped us feel like we were accepted. Trevor used to coach skating several times a week, and since moving here he hasn’t coached once (Our son doesn’t count). He misses the aspects of giving back, feeling appreciated, and socialness. 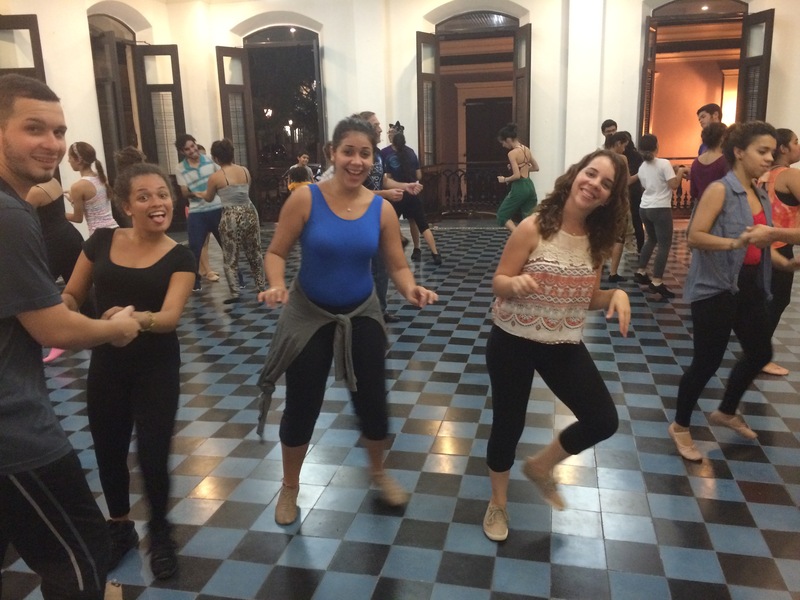 Teaching dance satiated this social need for a little bit. I know he’d like to do more teaching/contributing/sharing in some form or another. Thank you dancers for giving us more than you know. Funny side note: Trevor and I felt outta shape and old. They wanted us to dance fast as they ALL whipped out their phones to record us. whew! It was good to shake the dust off our lungs. Here’s the dancers doing lindy basics after just two classes. Yay for Lindy in Puerto Rico!! Incidentally, my blog post unknowingly coincided with this bloggers post: who knew? 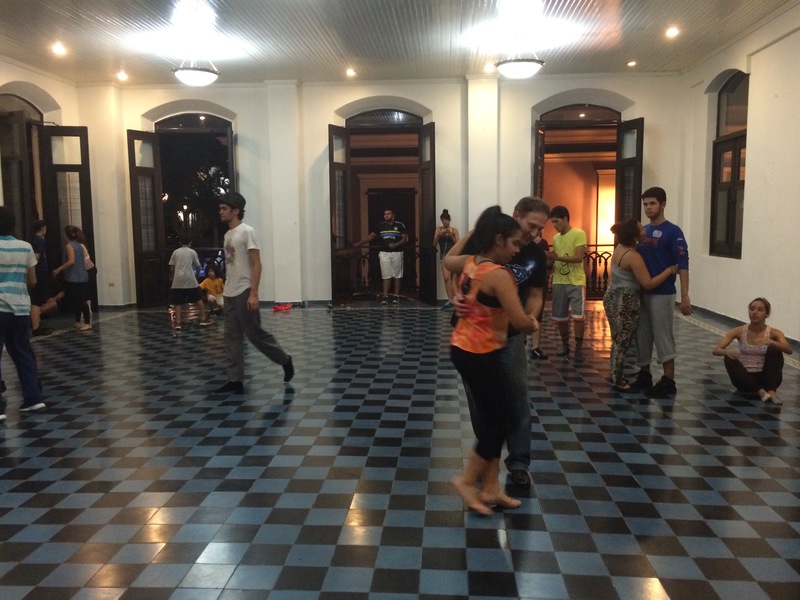 This entry was posted in Uncategorized and tagged class, dance, Lindy Hop, Puerto Rico, San German. Bookmark the permalink.